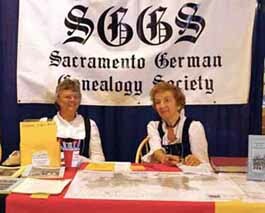 The Sacramento German Genealogy Society (SGGS), after thirty years of service to German genealogy communities in the nation, has become known as one of the major organizations in its field. Founded in 1983, SGGS is registered as a 501(c)(3) public charity. As we promote the search for family histories of members with a German heritage, SGGS provides education resources for those seeking to learn about methods of researching their German ancestry, and at the same time seeks to increase the public’s understanding the culture and history of ancestors who lived in German-speaking areas of Europe. Even though SGGS is based in Sacramento, its over 800 members live in forty states of the United States, and in three foreign countries. SGGS holds general meetings on the fourth Tuesday of most months generally featuring presentations by nationally recognized experts. At these meetings members have the opportunity to purchase various German genealogy books and materials. Also, they may browse member pedigree charts, make use of a collection of basic resources available at meetings, and ask brief questions of talented genealogists at the “Ask Me a Question” tables. In addition, the featured speaker of the month is usually available following the meeting to answer questions. These monthly general meetings plus the Study Group meetings are held at St. Mark’s United Methodist Church, at 2391 Lusk Drive, St. Mark’s Way, in Sacramento. The church is located directly behind Country Club Plaza, near Watt Avenue and El Camino Avenue. A ramp and an elevator are available. Parking is free. Knowledgable SGGS volunteers are available at local LDS family history libraries to provide personal assistance in the use of the German resource materials found there, reading records written in German, transcribing German script, German language translation and general research advice. The annual workshop seminar, SGGS’ major event of the year, held in the Spring, is an all-day gathering of German family historians, with lectures presented by one or more nationally known scholars. Besides offering training sessions, such an event may also include special activities such as one-on-one consultations with German research experts. SGGS occasionally hosts special events. 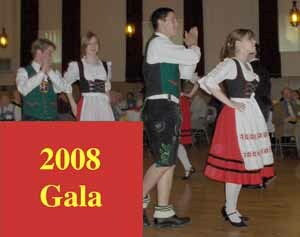 One example is its 25th anniversary Gala celebration in 2008 that included local German folk dancers and singing groups. 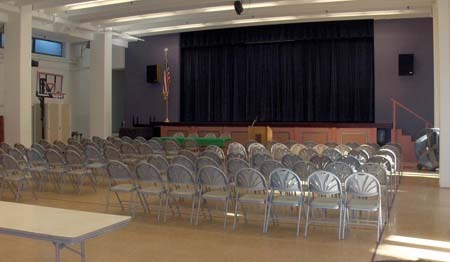 At its montly general meetings, SGGS sometimes substitutes cultural programs for the normal genealogy lecture. Such cultural programs have included historical costume display, story-telling and German folk dancing. 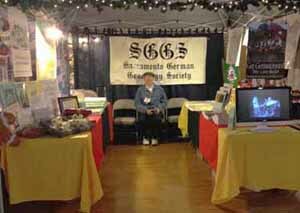 SGGS regularly staffs a booth or table at local events, such as Family History Day at the State Archives in Sacramento, the FamilySearch Library seminar, and the Christkindlmarkt at the Sacramento Turn Verein. We hope you will stop by and chat with us when you attend one of these events. 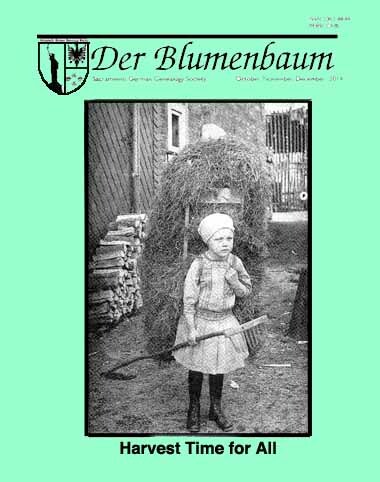 Der Blumenbaum – This 48-page award-winning quarterly publication of SGGS contains a wide range of articles about German and German-American culture, history, and genealogy. 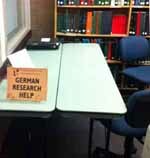 The articles emphasize timely information for those doing German genealogy research. This journal also includes surname queries and a list of available translators of German, French, Polish, and Latin. Other Publications – SGGS volunteers have created useful publications available for sale to attendees of meetings. These include a reference catalog to the German resources available at the Sacramento FamilySearch Library, a comprehensive index for all Der Blumenbaum journals (since 1984), a German “handschrift” guide called “The German Card,” and a custom-order “German Handshake Packet” designed for members to carry with them when they travel to Germany to research their ancestors. Book Donations for Public Use – Over the years, SGGS has purchased numerous German genealogical research books, donating them to the Sacramento FamilySearch Library, where they have been placed on designated shelves, available for use by the public. Informational Website – This website includes announcements, descriptions of SGGS activities, a calendar of meetings and events, descriptions of monthly programs, details about our workshop/seminar, information for members, descriptions of publications, links to other resources, and instructions for contacting the Society. Our meetings are open to the public. Membership dues support our lively and far-ranging organization, thus providing us with the means to continue to assist German family historians. 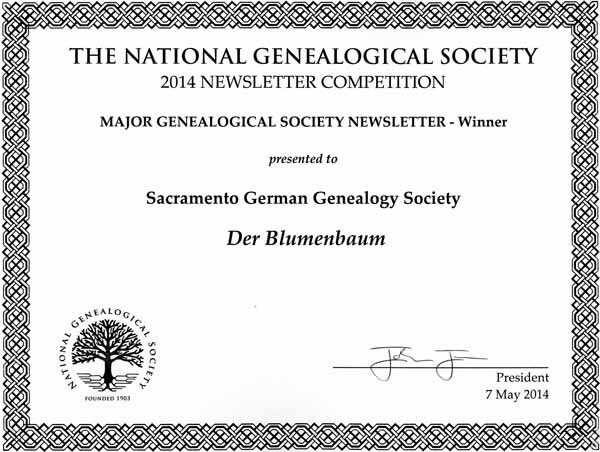 When you join SGGS, you receive the award-winning quarterly journal Der Blumenbaum, discounts on annual seminar and special event registrations, emailed notifications, and the right to submit your pedigree charts and surname queries. If you have been thinking for a long time about searching for your German roots, you can now follow through and get lots of help and instruction, just by joining SGGS!